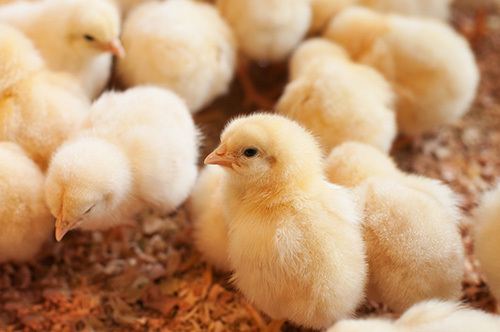 Our dedicated poultry nutritionist and field consultants work hard to introduce and implement emerging practices and new technologies in the industry, all in a bid to maximize livestock producers’ health, productivity and profitability. Raised without antibiotics, all vegetable (no animal by-products) and conventional. Conventional and specialty feeds, including cage free, Omega 3 enriched, vitamin enriched, animal by-product free, antibiotic free. Animal by-product free, antibiotic free and conventional. From ducks to game birds, specialty poultry have unique needs based on species and market. Learn More. We leverage detailed ingredient analyses from an accredited laboratory to monitor the quality of the products in our feeds. Finished feed products are then carefully evaluated to verify the feed is manufactured exactly to our specifications. To help maintain industry best practices, our nutritional experts work closely with technical resources at genetics companies, research universities, feed ingredient supply companies and veterinarians. Plus, to remain as effective as possible, we run experiments and field trials to evaluate feed additives and formulation strategies. To discuss how we can help you maximize the health, nutrition and performance of your flocks, contact us.